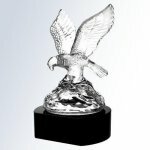 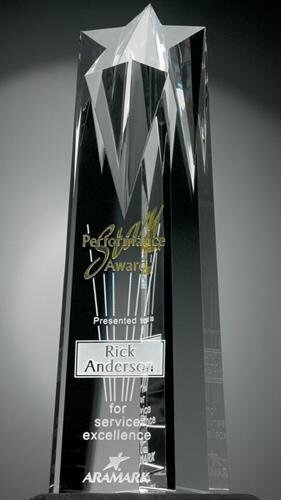 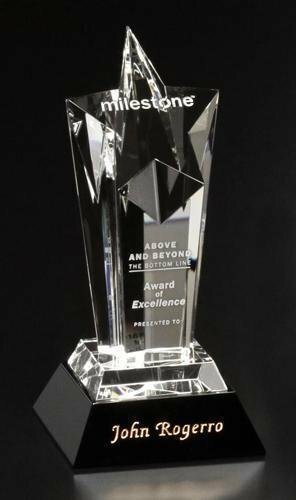 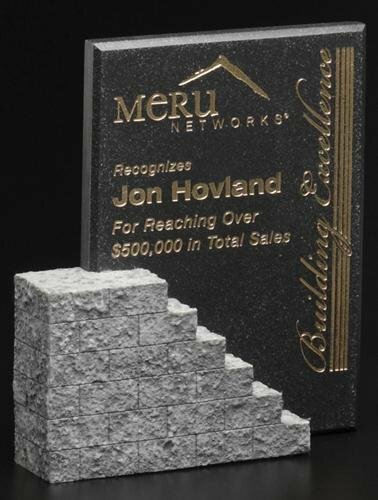 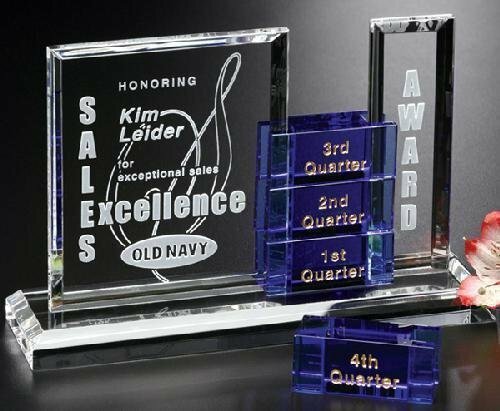 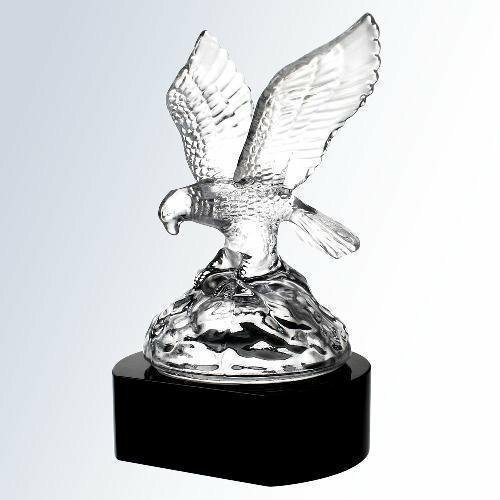 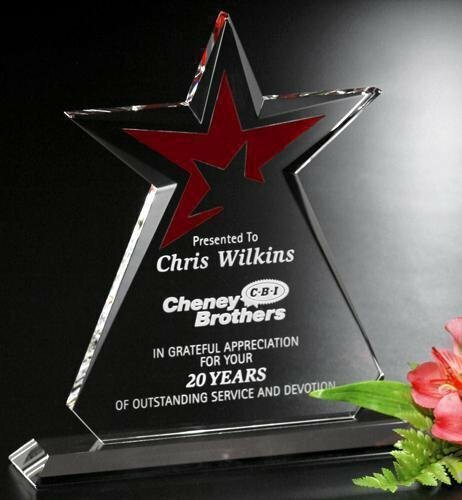 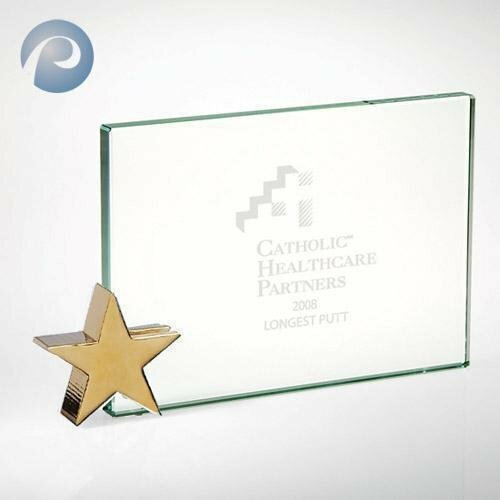 This is a great low cost award with a large imprint area, great for displaying your logo and several lines of text. 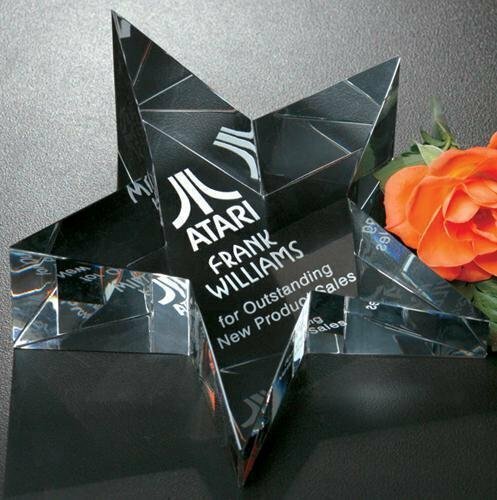 This piece is printed in full color. 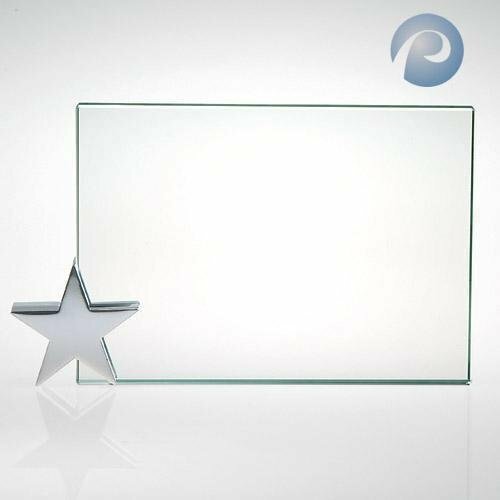 The jade glass is 1/2" thick and is held upright by a chrome plated star in the corner. This is a great low cost award with a large imprint area, great for displaying your logo and several lines of text. 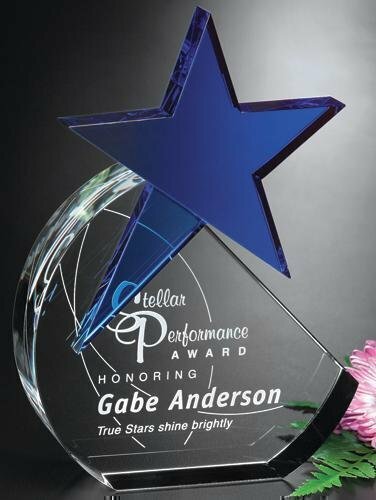 This piece is printed in full color. 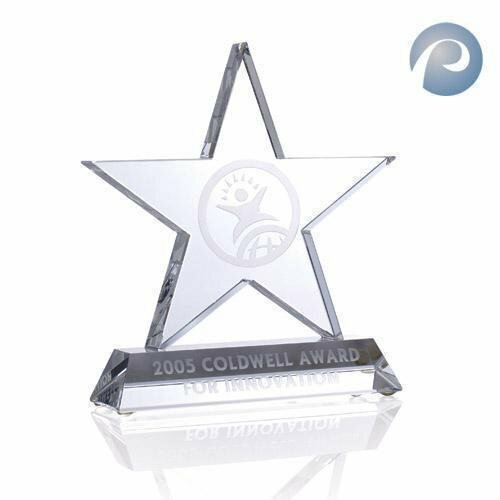 The jade glass is 1/2" thick and is held upright by a brass plated star in the corner. 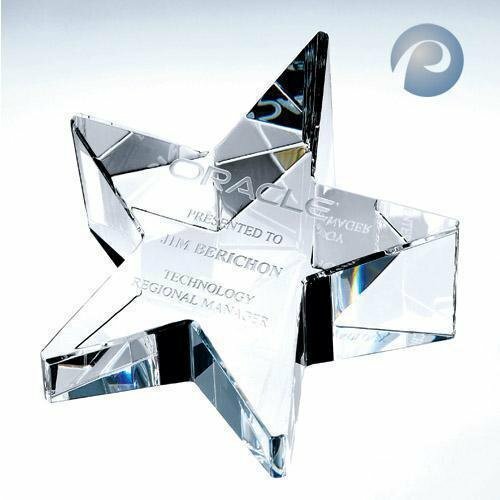 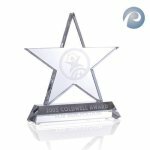 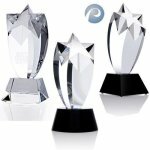 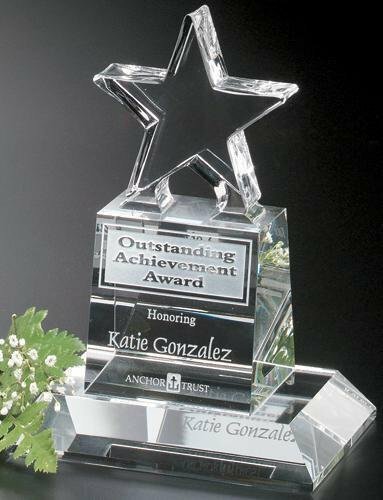 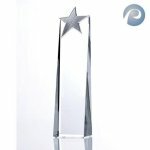 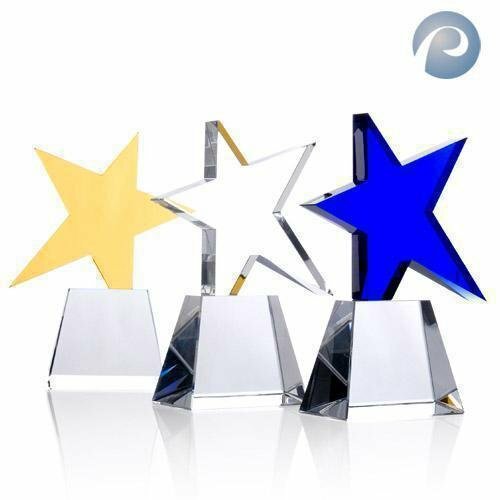 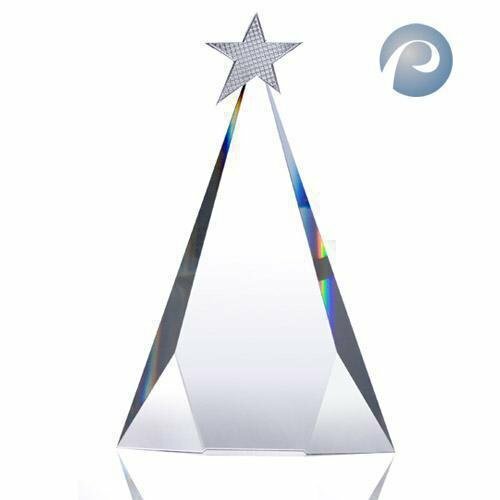 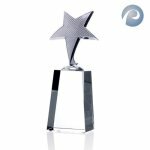 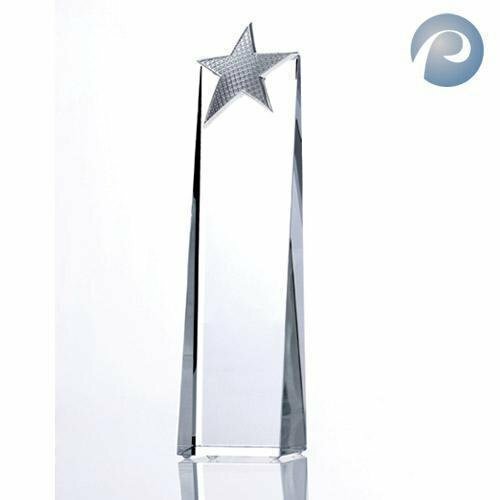 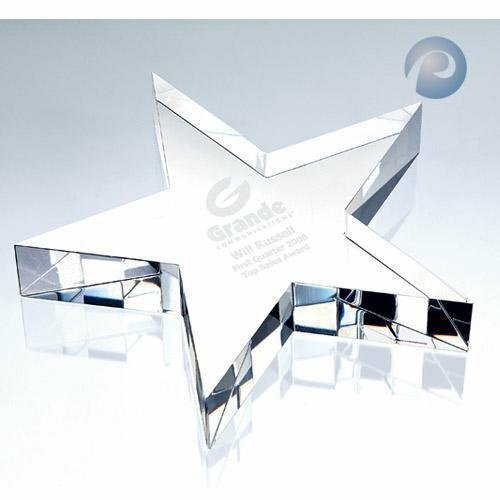 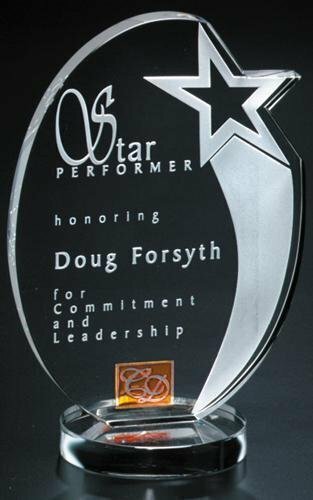 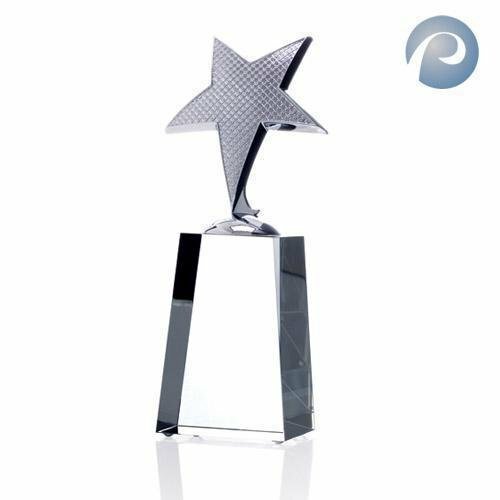 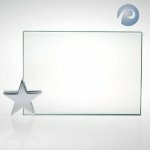 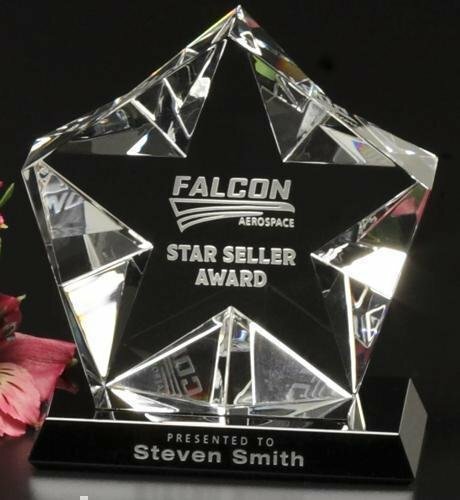 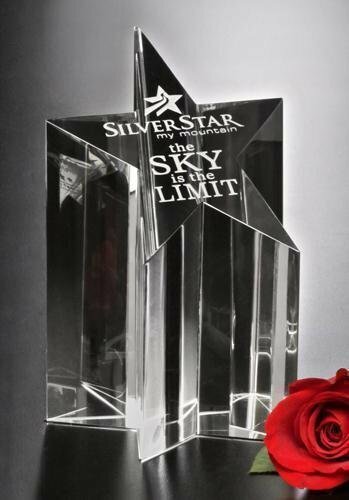 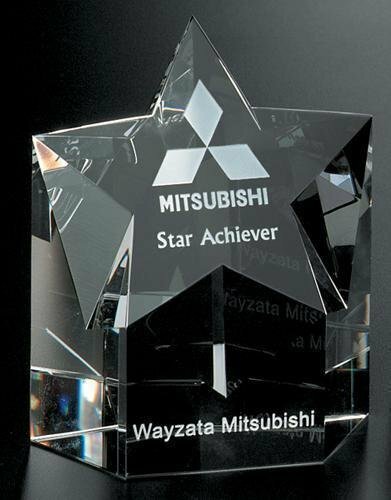 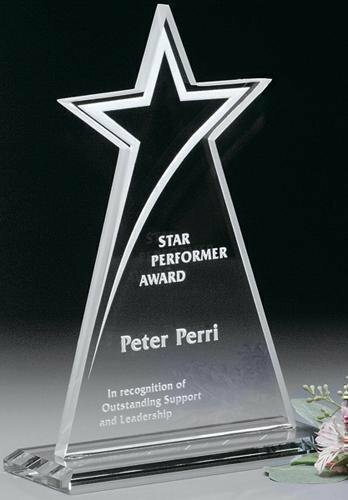 This star paperweight award is made of brilliantly clear optical crystal. 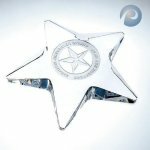 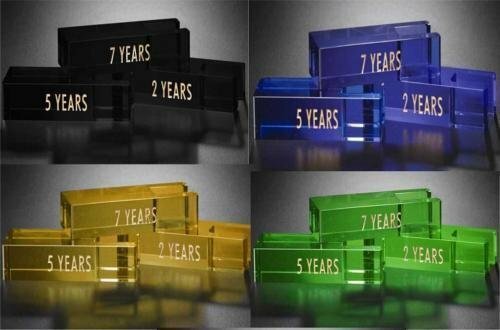 This item has a small engraving area and is suitable for a logo and up to 3 lines of text.